Ewa Podles, the world’s leading contralto. Ciro was called an oratorio so it could be performed during Lent. Rossini was a master of promotion. Ciro defeats Baldasarre in the end. Cast: Ewa Podles (Ciro), Michael Spyres (Baldassare), Jessica Pratt (Almira), Sharin Apostolou (Argente), Scott Bearden (Zambri), Eric Barry (Arbace), Krassen Karaagiozov (Daniello). In collaboration with the Rossini Festival, Pesaro, Italy August 10, 13, 16, 22. 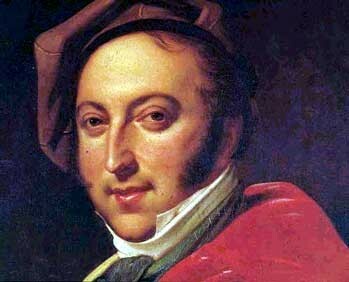 Ciro in Babilonia,an early opera of Giaocchino Rossini, was debuted at Caramoor as a run up to performances at the Rossini Festival in Pesaro later this summer. 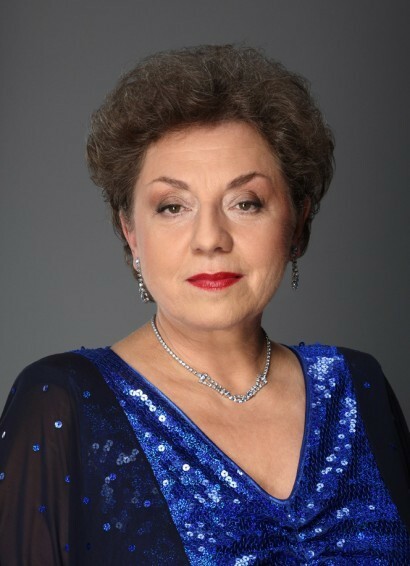 The dual production brought in the singing legend, contralto Ewa Podles, who has not sung in the New York area for almost five years. Early Rossini is like early Mozart: if we could have more we would gladly take it. The Mombelli family, tenor Papa and his two daughters, had adopted Rossini by the time he was eighteen. The father was not easily convinced about Rossinni's musical talents when Rossini wrote down the score of an opera by memory. Rossini copied two more, and voila, his career was jump started. Disappointed by Ciro, Rossini had a party in which a marzipan boat, with a crushed mast and rudder, was said to represent the production. After it was demolished, others told Rossini he was wrong. The opera was presented in many Italian cities, Munich, Vienna and Weimar for 15 years and then disappeared. It is difficult to think that this two act opera was such a failure. Musical story telling techniques abound, one aria was so lovely that the composer appropriated it for Count Almaviva, the first of many storm scenes is presented, forecasting Moses in Egypt and William Tell. An aria written entirely on B flat was cut from the Caramoor production, but so too the sorbets that distracted the original audience from listening. When this aria was first performed, people stopped eating. Will Crutchfield conducted at a brisk and still sensitive pace. The star of the evening was Podles in the trouser role of Ciro. The astonishing quality of her singing and acting, her movement and even her “active listening,” right in the middle of every event on stage even when she is assigned nothing to do. Her pitch is perfect, the shape of her lines considered and shapely. Her second act aria with violin obbligato was a special treat. A call out seems inappropriate however, in such a consistent performance. The Podles voice is usually described as unusual, a force of nature, and elemental. Something else was clear as Podles sang. The voice comes from the entire body. It is not just a chest voice. It emerges through the pores, and is as agile as it is distinctive. Podles acting comes from the center too. She uses her hands both to coax the music out and shape it, but also to express the emotional barometer. She seemed to inspire her stagemates to act in a similar style. Under the direction of Davide Livermore, the production was engaging and moving. 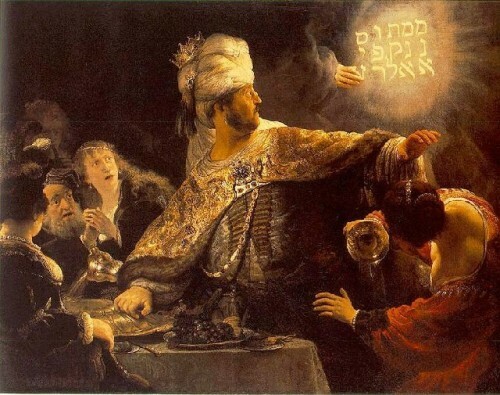 Scenes were punctuated by tableaux which froze and gestures arrested in mid air, lit to form a shadow play. Jessica Pratt singing Amira has a special touch for bel canto. Her dynamics were spot on, her ornamentation both delicate and piercing. After Michael Spyres as Baldasarre completed an incredibly difficult aria, one solo 'Wow' from the audience was followed by boisterous and appreciative crowd cheers. The other singers were solid and the chorus, made up of members of the Young Artists Bel Canto program sang and moved well. The costumes were generic and effective. The set was presented as a silent film, the charging crowds of Ciro’s army and Belsharrar’s response were perfect. Less so, the still scenes, which were 'scratched' with intermittent striations to suggest an old moving picture whose frames had been scratched. This problem will undoubtedly be solved before the production arrives in Italy. Titles were period frames of text, like a silent movie. This worked wonderfully well. Many people around me felt that we don’t need to read every word that is sung. The greatest pleasure comes from occasional signposts to let you know where you are. Then you can sit back, receive and enjoy. Since the Metropolitan Opera has taken to producing poperas and become an arm of Broadway, abandoning opera as it serves up one offs to innocent tourists, it is wonderful to have local companies show us just where all the pleasures of opera lie. Caramoor and Will Crutchfield do just this, season after season and we eagerly wait for Bellini’s I Capuletti & I Montecchi up next, July 21. "Brava Ms Hall! You are right, the production was genuinely wonderful! I enjoyed every note despite the oppressive heat. Ms Podles voice is stunning and I also really enjoyed Mr. Spyres and joined the ovation he was given. I loved the few period frames and found it much better than endless subtitles. I tend to agree with you too that the optical effects of the 'scratches' were distracting and to my mind, really poorly executed. The silent movie effect was accomplished already and I found the endless effects to be bothersome. One note: I was sitting stage left and was surprised at the booing that I heard when the director was brought out. Did people not like this staging? Do we know why there were so many boos?"